Note:Do not remove the left bank idler sprocket. Install the oil pump and bolts. Refer toOil Pump InstallationInstall the crankshaft sprocket. 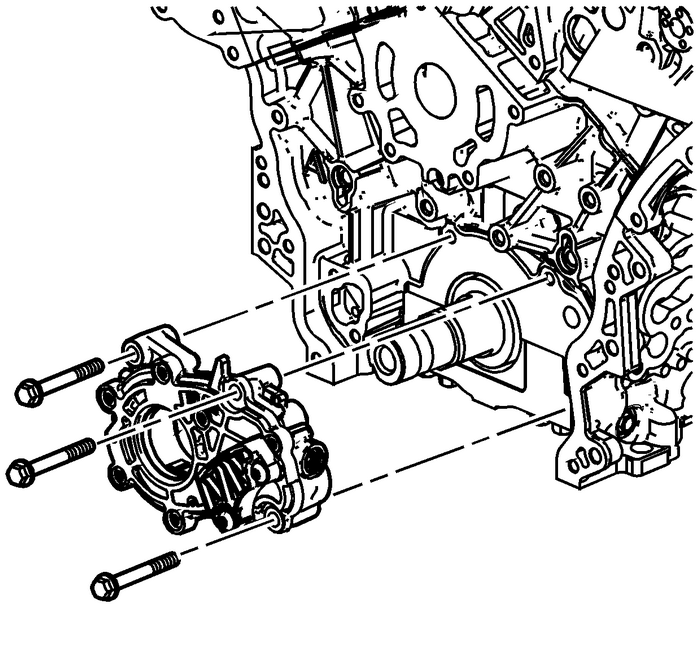 Refer toCrankshaft Sprocket Installation.Install the primary timing chain. Refer toPrimary Camshaft Drive Chain and Sprockets Replacement.